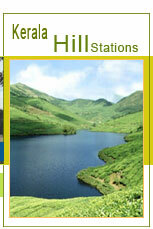 Hill stations are the great hideaways down the centuries, for Kings, Britishners, Nature lovers and many others. So these days this hideaways are more relevant than any other times, because the polluted environment of city life compel the people to weekend getaways. The Nature Lovers Paradise, Snuggling in the green and serene Kannan Devan Hills Lies in the quite and restful resort of Munnar at an altitude of 1524 m and 136 kms off Cochin. Panoramic Views of Low Flying Clouds and Mist filled valleys make it a pretty little heaven with a cool, bracing Climate. With in its elderly churches –gracious stone structures with ancient chandelles and rosewood pews. A little Beyond Lies Anamudi, Souh India’s Largest Peak. In the Vicinity is the Eravikulam National Park, The home of the endangered Nilgiri Thar that roams on a stretch of Grasslands or is seen climbing the Steep Pinnacles of the undulating hills. Here we can have a Glimpse of Guar, Lion Tailed Macaque and Elephants Roaming herds. A boat ride on the splendid Periyar Lake is the best way to experience the sanctuary. The greatest attraction here is the herds of the wild elephants that come down to the lake to frolic in the water. Tiger, Sambar, Bison, Spotted deer, Leopard, Malabar flying Squirrel, Stripe-necked Mongoose and so on can also be spotted in the forest of Kumily, an important spice trade center, in the periphery of the sanctuary. A place of great scenic beauty with Picturesque hills, streams and Luxuriant Vegetation. 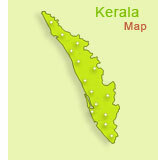 One of the Highest Locations in Wayanad and registers the second Highest degree of the rainfall in the world. 3 kms from her is Pookode lake the natural fresh water lake, very wide and deep one of the rare reservoirs of water in Wayanad. Surrounded on Hillsides by Meadows and Hills. It has become a favorite Picnic Spot. A green vista of undulating hills and valleys. The climate of the hill station is similar to that of Oottacamund.. There are plantations of coffee, tea and cardamom. the fast-flowing rivers of Panamaram, Manathavady and Kabini lend a picture-postcard look to this north-eastern tip of Kerala. At 1100 ft, a quaint little hill station tucked away in the Western Ghats. Lush green woods, meandering streams and countless varieties of butterflies add to Ponmudi's strange magic. A forest range 75 Km from Palghat. A chain of ridges cut off from one another by valleys of dense evergreen forests and orange plantations. Accessing Nelliyampathy from Palghat is breathtaking. You negotiate more than a dozen hairpin curves on the winding ghat road through the jungles of the Sahya Ranges. En route Palghat, the shimmering Pothudi Reservoir and its manicured surroundings serve as an ideal stopover. An area surrounding a lovely lake, offering some of the most stunning views of the region. It offers the best opportunity you are ever likely to get to watch tea being picked, to learn how tea is processed, to scent the whiff of tea wafting through the air and to buy garden-picked tea. It is a dainty town, 16 km southwest of Munnar. Green hills touch the sky and silent clusters of slender red and blue gum trees. A lovely little lake is tucked into rolling hills. According to legend Sita Devi, the consort of Lord Rama, frolicked in the lake and the place came to be known as Devikulam (meaning the Lake of the Goddess). At 914 m, a small hill station on the way to Thekkady. Formerly the summer palaces of the kings of Travancore, this cool hill station is strewn with rubber, tea, coffee and cardamom plantations, interspersed with waterfalls and grasslands. At 1100 m, 64 Km from Kottayam, the place is a trekkers' paradise. An ideal tourist spot surrounded by the greenery of tea gardens, beautiful meadows, valleys and dales. Other places of interest are Thangal Para, Indo-Swiss Project, Kurishumala Ashram.